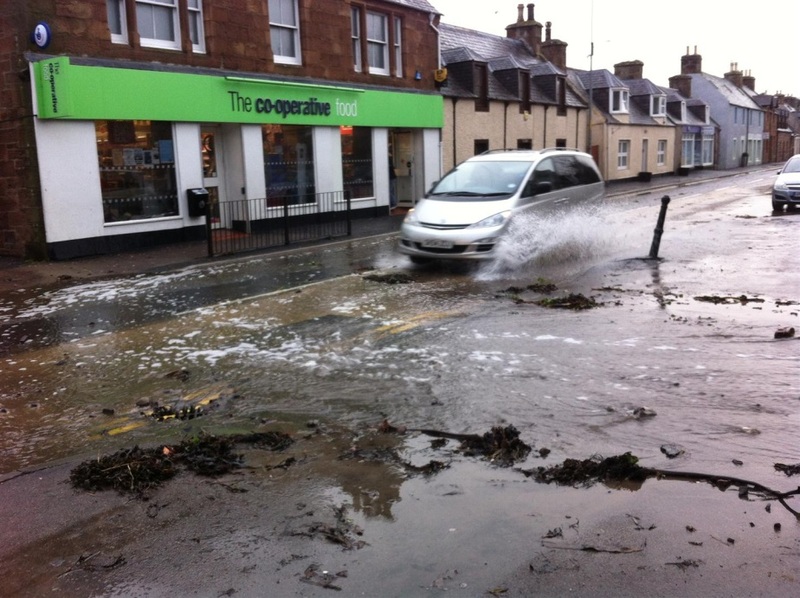 The Highland Council has invited people in Golspie to attend a public exhibition highlighting results from an ongoing study into the risk of flooding along the Golspie coast, including potential options to mitigate the risk of future coastal flooding in Golspie. The exhibition on Thursday 31st January from 2-7pm at Golspie Community Centre, 2 Back Rd, Golspie KW10 6RN will present results of the study to date following detailed hydraulic modelling of the coastal flood mechanisms that affect Golspie, and outline potential options being considered to mitigate the risk of future coastal flooding. The public will be able to view the results from the hydraulic modelling and the types of measures that could potentially be implemented to mitigate flooding risks identified through the study. Staff from The Highland Council’s Flood Risk Management Team and consultants AECOM will be at the exhibition to discuss the results of the modelling that has been completed, potential mitigation measures being considered, answer questions and gather any initial comments from people on the study at this early stage. The Council’s East Sutherland Edderton Ward Councillors are encouraging as many people as possible to come along. They said: “This is a good opportunity for folk to see the work done so far and to find out how the flood protection study is progressing. Hydraulic modelling results and mitigation options to be presented through a series of display boards throughout the afternoon and evening. Members of the Highland Council/AECOM project team will be available to take questions from members of the public and receive feedback on the Study results so far and options being considered for consideration as the Study progresses.